Chili is just one of those classic dishes that reminds me of a chilly fall night when I was a little girl. 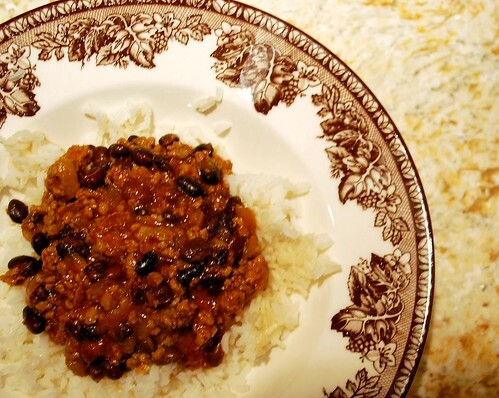 No one’s recipe will ever compare to my mom’s because mom’s chili is the culinary manifestation of comfort and warmth. 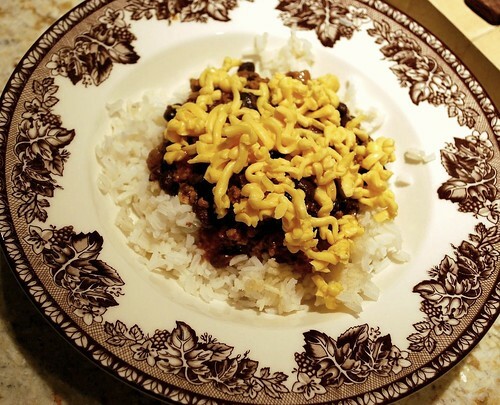 Mom always serves it on a bed of rice, topped with shredded cheese. It’s just the best. Great things about this recipe: It freezes really well in freezer bags. It can be made super-lean by using ground turkey and serving it on brown rice. It can be spiced up with sausage and bell-peppers or spiced down with just the listed ingredients. This recipe can easily be adapted to a crock pot, too. I love coming home to the smell of it after a long day! Heat olive oil in a large skillet over medium heat. Cook onion and garlic in the oil for 3-5 minutes, and transfer to a large pot or crock pot. Return the empty pan to the heat and cook the ground meat in the pan, draining off all fat when it’s cooked all the way through. Pour the meat into the large pot or crock pot with the onions. Add all remaining ingredients, stirring to combine. Simmer for at least 1 hour, stirring occasionally. You can have this simmer in the crock pot on low for 4-8 hours. Remember to taste the chili and adjust the seasonings (chili powder, cumin, salt, and pepper) before serving. 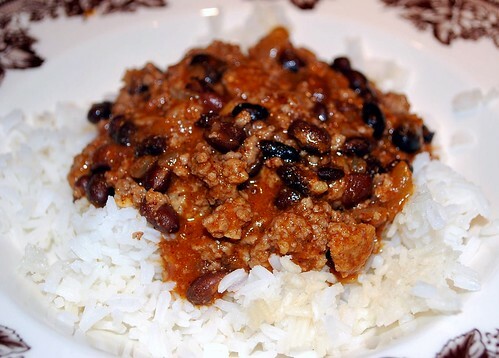 This chili is great served on white or brown rice, on a baked potato, on cornbread, or on its own. Top with cheese, chopped green onions, or fat free sour cream. Enjoy!